Boredom is a gift in disguise. It gives young minds the freedom to get creative and it’s often the catalyst for magical open-ended play. However, school holidays also give us the opportunity to engage our kids in some really fun activities. 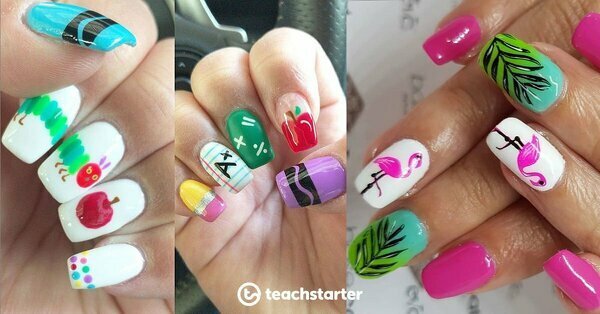 These guided activities are extra enjoyable because they come without the pressure of school expectations and assessment! Here are five free printable craft activities that are perfect for kids on school holidays. 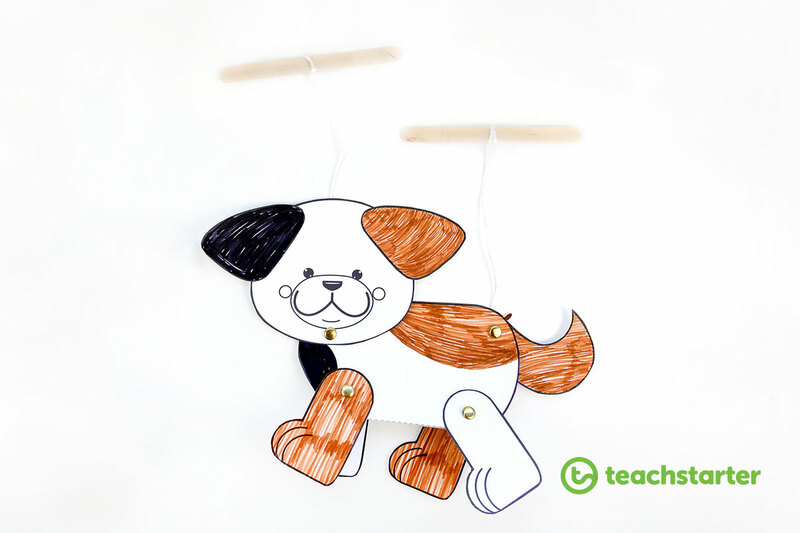 This adorable puppy dog string puppet is so simple to create! All you need is this free printable Dog String Puppet Template, six split pins, some string and two pop sticks or a ruler. The puppets can be made using regular paper or using a lightweight card. Decorate and cut out each part of the puppet. 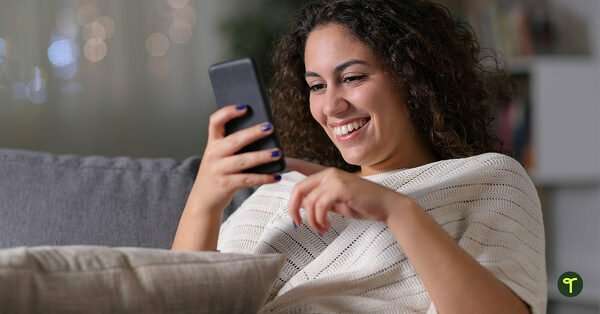 Punch holes through each of the small circles on the template. Fold the body of the dog along the two dashed lines (the fold becomes the dog’s belly). the tail. Attach the other end of each string to a wooden ruler or pop sticks. 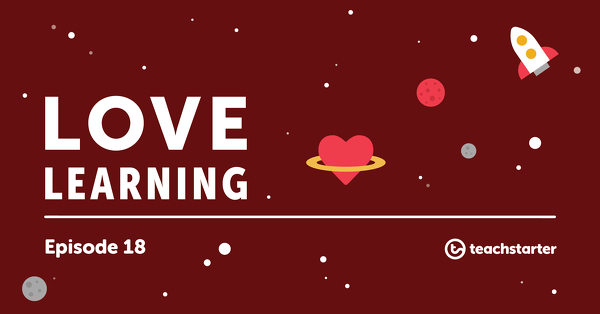 A decorative version of this resource was created for Lunar New Year! 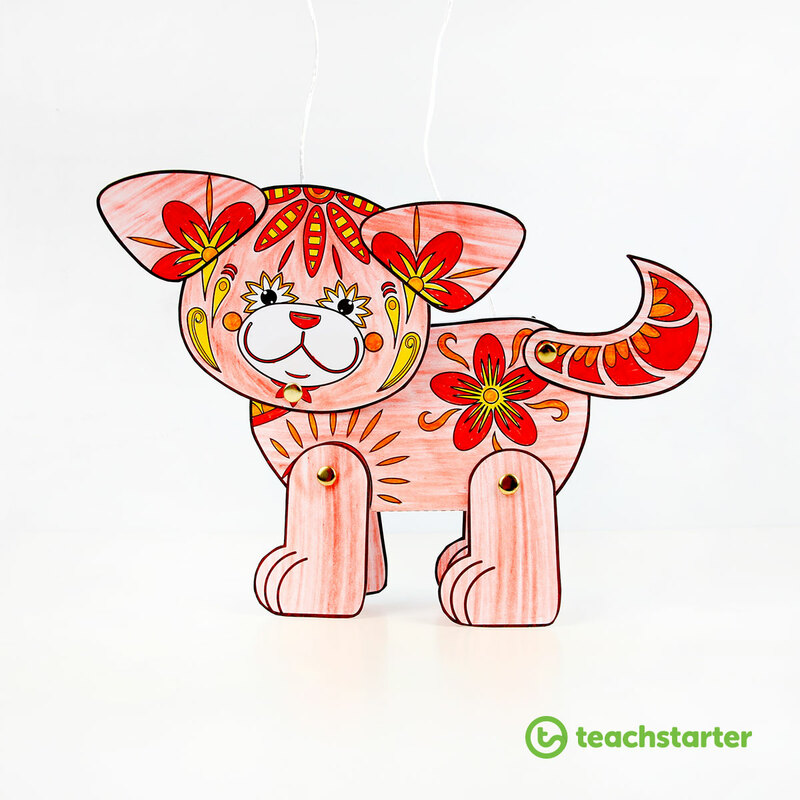 You can download the Year of the Dog String Puppet Template for free as well. 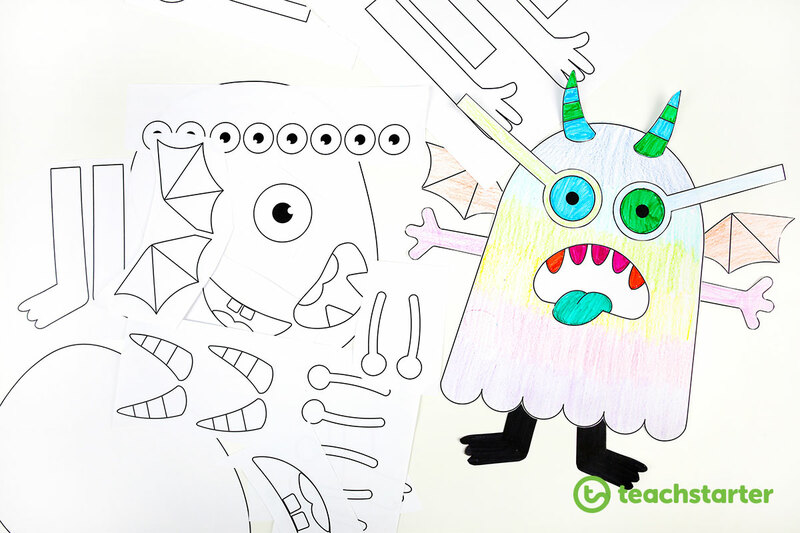 Another fantastic free craft printable, these Create a Creature Activity Cut-Outs can be used in a few different ways! Download and print the cut-out templates (kids can share one print out between two if needed). Choose the body shape and other body parts needed to make a crazy creature. Cut out the template pieces and assemble the creature either on the paper body or on a 3D object such as an empty tissue box. Students can decorate their crazy creatures any way they would like to! Avast, me hearties! 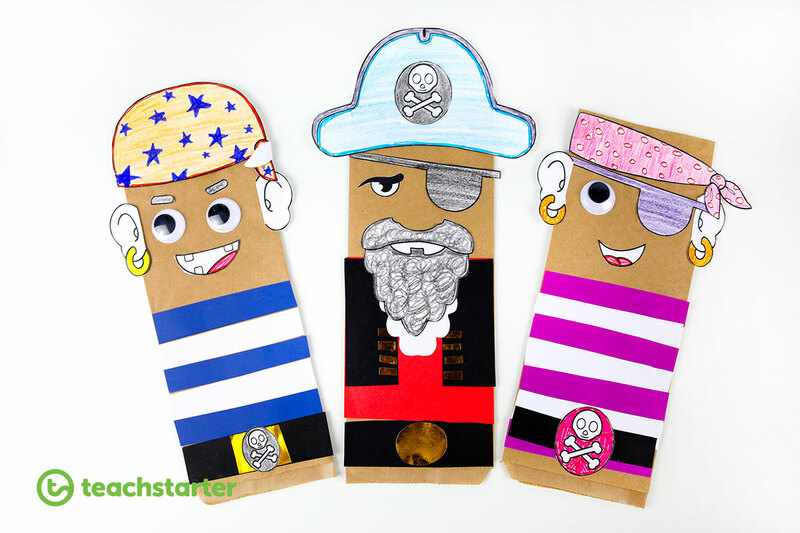 Why not make some paper bag pirates during the school holidays? 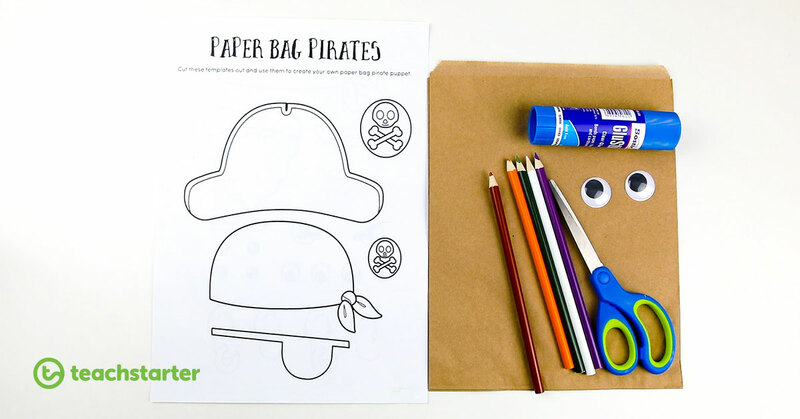 Download our free Paper Bag Pirate Template to create a whole pirate crew! Fold a regular sized, brown paper lunch bag in half vertically and glue the two sides together. 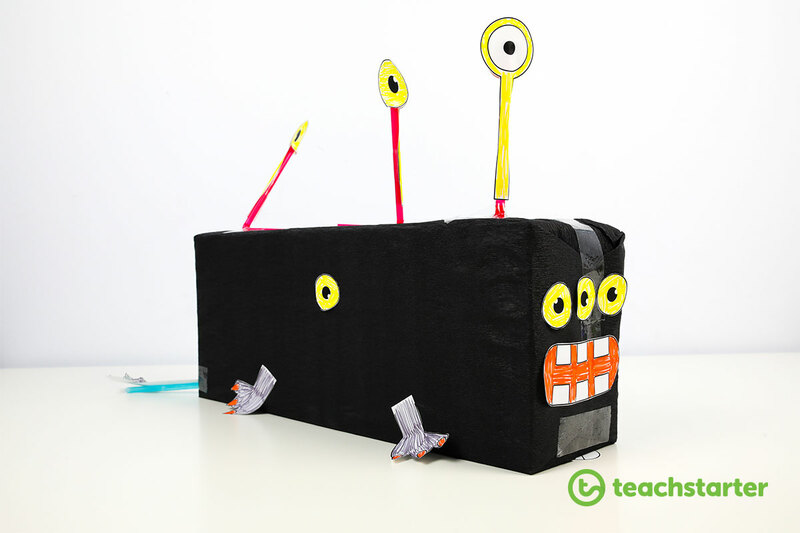 This forms a long, rectangle shape with a hole at the bottom for students to use as a puppet. Colour in the cutouts on the template. Cut out all of the pieces you need. Glue the template pieces and clothing pieces onto the paper bag! Did you know that the collective noun for sea jellies is a smack? 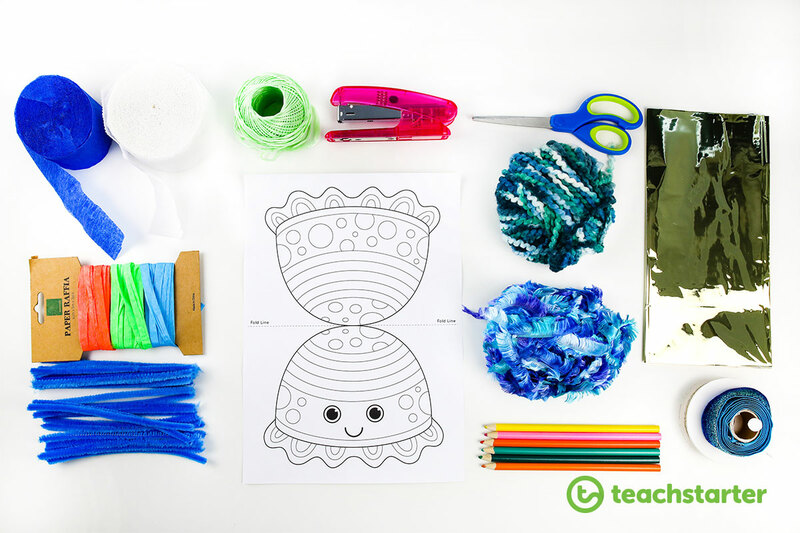 Use this free Sea Jelly Craft Template to create a smack of sea jellies! Colour in the sea jelly. Cut out the sea jelly and fold on the centre line. Staple the edge of the top half of the sea jelly, leaving the bottom open. Scrunch up the off-cuts of paper to stuff inside the sea jelly. Use streamers, ribbons, coloured paper, wool or any other suitable material as tentacles. 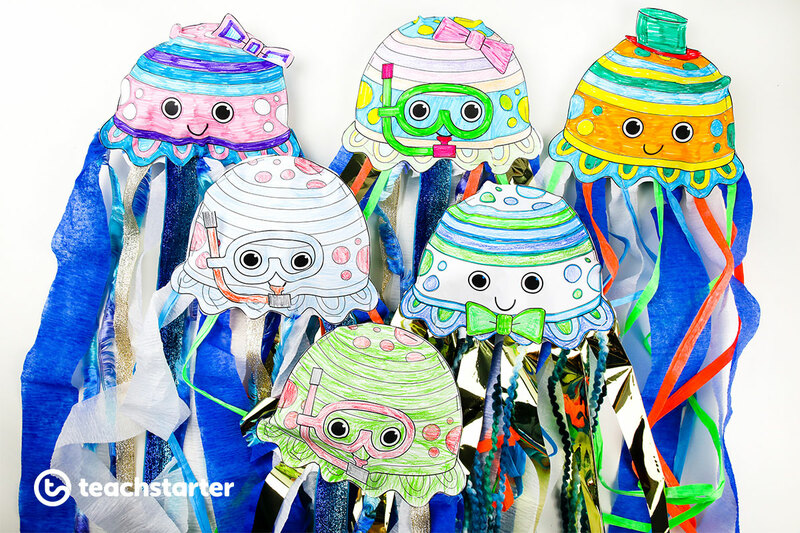 Staple along the bottom of the sea jelly and hang to make a fun Under the Sea themed classroom display! This another of our school holiday craft activities that kids really enjoy! 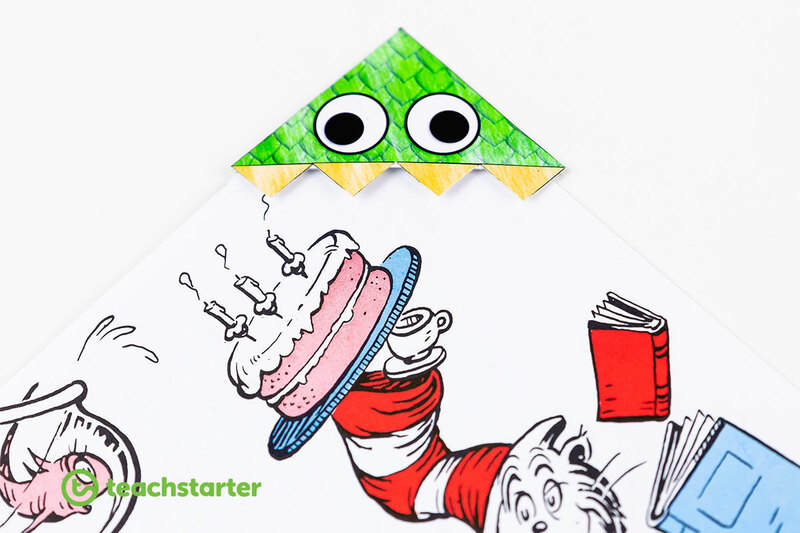 These monster corner bookmarks look SO effective and are deceptively easy to make. Print the Monster Corner Book Mark template. Cut along the outside of the template design. Fold each triangle on top of each other and paste the two triangles together, creating a pocket. Decorate your design by colouring the template or by printing onto coloured paper and adding wobbly eyes. 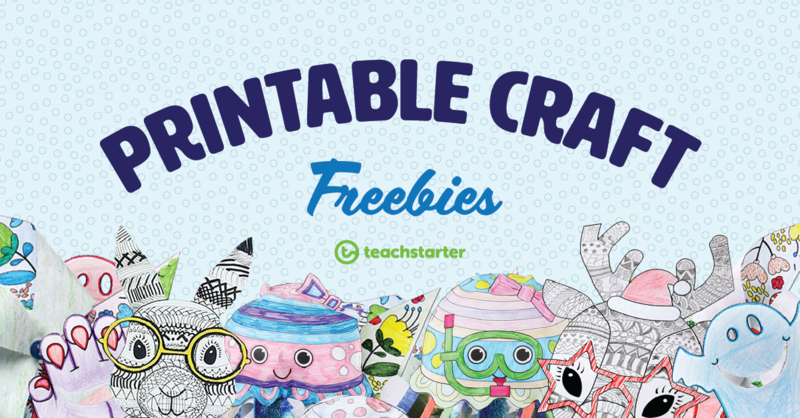 Check out our collection of free craft printables!